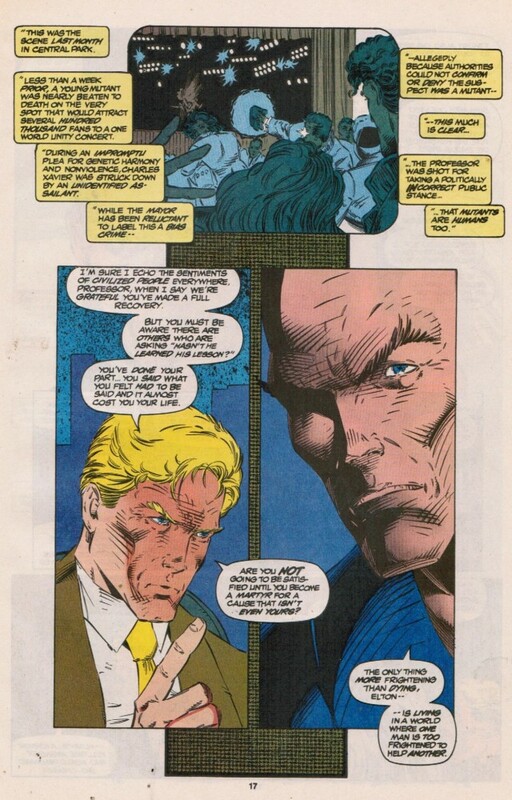 The assassination attempt was by Stryke, disguised as Cable. Which was pretty easy since Stryfe was cloned from Cable when they were both babies. In the far future. Comic books are weird. I've always liked these pages. It points out we're all people, and empathy is not limited by our "own kind." 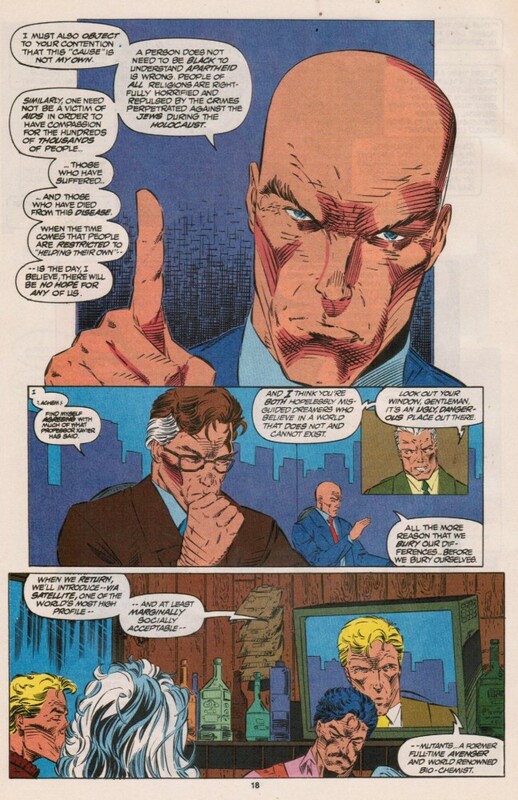 It also says "Here's why Charles Xavier isn't the biggest hypocrite in the world for not telling people he's a mutant." Although he gets called out in the X-Men/Avengers crossover "Bloodlines," and he admits it was a "simplier time" when he decided to be "a mutant advocate who seemed human." And then more and more "Charles did a bad, bad thing" retcons started happening because... conflict? The rest of the issue is good, if mostly a collection of set-ups for future storylines.